Lot’s and lots of people are emailing me about how to become an Uber driver and all that is needed to start working and earning money. You will need to collect a number of documents and submit your application to TFL Private Hire department in order to initiate the process. Remember, UBER doesn’t have the authority to issue private hire licenses to its drivers – only Transport For London can issue a Private Hire license to drive minicab in London. Uber, however, can help tremendously with the process of obtaining your license. The offer a so-called Ignition session where they run your background check, help you collect all the documents needed, walk you through the Uber process and they can help you pass your Topographical Skill test and issue your certificate. There was a major hiccup with the Topographical skills last year when TFL decided there are too many fraudulent certificates issued and to reduce their number you could only do your test in a TfL facility. It was a futile attempt to lessen the number of PH driver applications, but most people manage to get certifications one way or another, and now Uber has the authority to do the tests and issue certificates. There are a number of documents to obtain and fees to pay before you start your application. English Language Certificate – a new requirement from 2016. You need to pass an English test. I wrote about all these in detail on the TFL private hire license page. You can see all the details here along with all the prices and waiting times for each document. If you lived away from the UK for more than three months in the last three years, you would have to get a background check from your previous country of residence. That is also valid if you are foreign and came to the UK less than three years ago. Once you collect all the documents, usually a few weeks to gather all, you will need to submit your application yo Transport of London. Remember, they are the only institution that can issue private hire licenses. Uber is not allowed to do that – they are a technology company that will only provide the trips and will handle the financial site of driving such as payment collection, payments to your bank account and all that. They handle the customers as well. There are two ways to submit your application to TFL – mail or online. You can request the application pack to be sent to your from the TfL website, or you can scan all your papers, upload them to TFL and submit inline. I personally favour the second way – it is much easier and cost efficient rather than posting the whole pack and risking it being lost or TfL misplacing it somehow. It happened to a friend of mine – I’d hate to see anyone going through all those hoops again. It takes about a month – month and a half to receive your license given everything was fine, and you are ready to start driving. How Much Money Can You Make With Driving For Uber? Is It Worth Accepting Uber Pool? 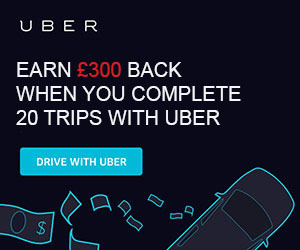 You will need to attend another Uber session before they can activate your Uber account. Be prepared to go for an orientation session with Uber – an employee will run a presentation. You don’t have to have a car at this point – this is simply orientational about how Uber works, expected behaviour, customer service tips and lots of common sense stuff expected of you as an Uber driver. They will take a photo of you which will be used as your profile picture on your Uber account. You will need to bring your driving license and your private hire license when attending so they can scan and upload them for you. Once you complete all the steps above you are free to look for a vehicle or get your licensed. If you already have a vehicle and you are sure it is on the Uber accepted vehicle list you can call TfL to schedule an appointment to get your car certified. 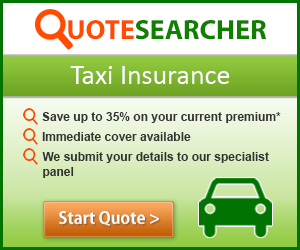 You will need to bring a recent MOT (within two weeks) and a valid private hire insurance certificate. The test costs £100, and it is done on the spot – you will receive your badge at the end of the examination if everything went well. Remember, you can’t have a new PCO license if your vehicle is older than five years. You can drive older cars only if they have been previously certified as a PCO vehicle. The current Uber accepted registration is 59 or newer. What Car Can You Use For Uber In London? I covered the full list of Uber accepted vehicles in London so you can have a read there what can you use and what you can not use. There is an age limit as well, so be careful if you are buying a new car before you actually start driving for the taxi company. Make sure your car is accepted and is within the age limit for new PCO registrations. If you don’t have a vehicle, you can always rent a car. I highly recommend visiting Drover and rent one from there. Drover is a platform for private hire rentals where all sorts of individuals and companies can list their vehicle and Drover handles all the rest – from renting to insurance and everything. All the cars come insured so you don’t have to worry about it. That way you can find a great deal from private PCO vehicle owners but still have your deposit protected. If you have any issues with the car you will deal with a well-established company rather than a dodgy guy with a car or two that might scam you on the deposit. You can also get involved in a rent-to-buy scheme, and Otto Car offers some great deals if you have been driving in London for over a year and fulfill all the criteria. I don’t recommend that at the moment though! All the uncertainty around Uber and its license would make me VERY cautious of any long-term dealings with cars and financing. They have cars for both full-time and part-time drivers and offer some very affordable options. You can get a car with a low deposit and pay it off in three years. If you change your mind you can always return the car without hurting your credit rating – no questions asked.